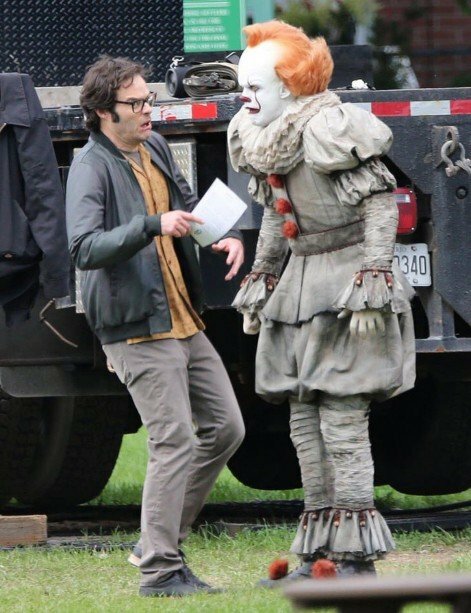 At 1,183 pages, Stephen King’s It is a horror tome like no other – in fact, it’s so large, that it’s now inspired not one, but two movies over at New Line and Warner Bros., the second of which is due to release later this year, on September 6th. 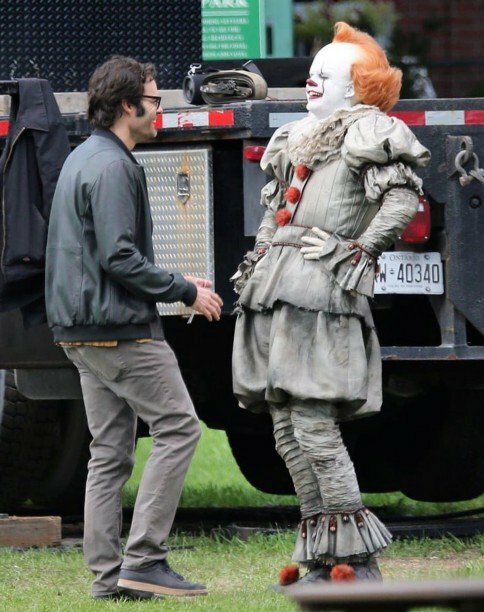 And so we arrive at It: Chapter Two, the star-studded sequel which rocked the crowd at CinemaCon earlier tonight, where Warner Bros. unveiled the first bit of terrifying footage. Unfortunately, it’s yet to make its way online, but thanks to the good folks over at ComicBook.com, we have the below description which lays out what was shown. “Grown Beverly goes to Kersey’s house. She is looking for her father. She grew up here. A creepy woman finally opens the door and informs her that her father passed away. She invites her in for a drink, insisting. Beverly has trouble visiting this place, calling it ‘cleaner’ when asked. She finds the love note from the first film. Down the hall, the old woman starts to contort her body and jumps out of the door frame. Over tea, the woman plays a record. There are creepy bugs on the window. They converse and joke that it is so hot here that they could die. ‘No one who dies here ever really dies,’ the woman says before a creepy stare. Beverly is caught off guard by the woman’s temporary freeze. She is sweating profusely and fanning herself with her shirt, revealing a cut on her chest. A bell sounds and the woman goes to retrieve cookies. Beverly looks at the photos on the wall in the mean time, asking about the woman’s family — her father joined the circus. The woman walks through the background with her clothes. She asks Beverly, “Are you still his little girl?” before beginning to yell and quickly rush towards her. Sounds pretty promising, and though we’re still in the dark as to when Warner Bros. will make the footage available for public consumption, fans are surely eager to see the new Losers’ Club in action. Especially since while the young cast of the first outing will show up once more, we’ll also get to see their grown up equivalents. They’ll be played by James McAvoy, Jessica Chastain, Bill Hader, Jay Ryan, Isaiah Mustafa, James Ransone and Andy Bean. Pennywise will be his same old sadistic self, though, and will be brought to life yet again by the very talented Bill Skarsgard. We’ll find out if the killer clown has found any fresh ways to wreak havoc on the town of Derry when It: Chapter Two hits theaters on September 6th.